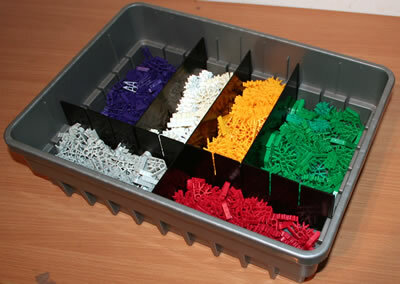 Many schools have found that K'NEX and Kid K'NEX can assist some children with special educational needs to develop essential skills. This is not always the case. Every child with special educational needs is different, but we have been told about many different K'NEX projects in which children with special educational needs have done well, and on occasion exceeded the expectations of their teachers. 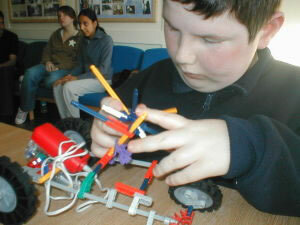 ♦ We suggest you start by assessing whether each child is physically able to make use of K'NEX or Kid K'NEX. For instance, some children with visual impairments, or cerebral palsy that affects their arms, or severe learning difficulties may find K'NEX too difficult to use. 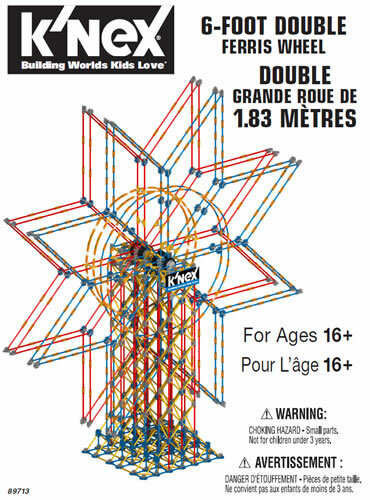 ♦ If you decide you would like to try using K'NEX with a child, we suggest that you use Kid K'NEX for children aged 3 or 4, because less strength is needed to put the pieces together. For children aged 5+, it is usually better to use K'NEX rather than Kid K'NEX, but this is not always the case, and some children with special educational needs may prefer to stay with Kid K'NEX until age 7 or more. 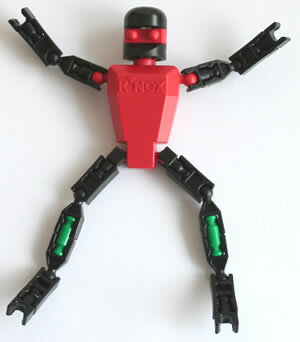 ♦ You should then think carefully about how you introduce the K'NEX or Kid K'NEX set to the child. Start with easy tasks that are within the child's capability, and give as much assistance as is needed. Early failure may cause the child to reject the whole idea, even though by starting with simple tasks and then gradual development onto more difficult tasks, the child could have achieved excellent results. ♦ If you find that the child does enjoy using K'NEX, you might then think about purchasing one or more of the smaller K'NEX education sets specifically for him or her. Prices start at about £20 (see K'NEX shop), and the sets come with instruction books that are designed for educators. The "Discovery Building set" is a good general-purpose starter set. ♦ Some children will not wish to develop beyond the stage of building the models in the instruction book you receive with the set, but if they do, you might like to start building some of the K'NEX models in this website, and then progress onto the K'NEX Challenges. ♦ We suggest you also consider encouraging your child to build K'NEX models and carry out K'NEX challenges in a team of two or three children. Such an approach can help develop the communication skills and team-working skills of all the children participating. Note that not only can K'NEX help children with special educational needs develop the curriculum skills shown in the preceding pages of this website, but achieving success with K'NEX can also help to develop self-esteem and confidence. We are grateful to PHAB for permission to use the photo.